In the late 1800s, three men, William Edward Holt, Jessie S. Spencer and Charles Worth Johnston, acquired much of the land in what is now known as NoDa to cash in on Charlotte's burgeoning role as a major textile manufacturing center. The area was particularly desirable because of the nearby Sugar Creek and the train lines, which would provide for easy import and export of products. With the wheels set in motion, so began the life of a nameless mill village in the North Davidson area. For a large part of the 20th century, North Davidson thrived as a textile industry producer, with massive structures that provided jobs for thousands, and a surrounding community densely packed with small mill-style homes for the modest-income employees and their families. The first mill, Highland Manufacturing Co. Mill No. 3, opened in 1903 and produced mostly gingham. Others quickly followed, among them Mecklenburg Mill (later known as the Mercury Mill and later still the Martel Mill), Johnston Mill, South Atlantic Cotton Waste Co. and Chadbourn Hosiery Mill. 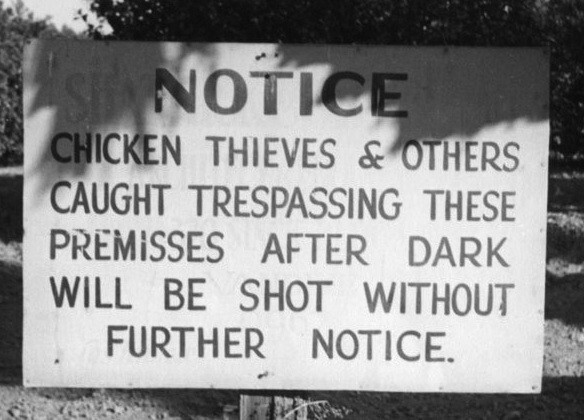 North Davidson residents of the '20s were known to participate in chicken thievery. Although the distance from downtown to the North Davidson area was just over three miles, there was little between the two areas, save for a handful of farms and crop fields. Most of the residents didn't own automobiles. A trolley line was eventually established, which allowed residents to conduct business in Charlotte proper. But for the most part, the residents of the area stayed close to home, taking advantage of the various retailers that cropped up. In 1904, a boarding facility known as the Costner House opened, and by 1905, a pharmacy opened on the two-block strip. According to historical records, the area boomed over the next 25 years; diners, a barbershop, and retail and grocery stores opened, making life for the residents even more comfortable. So who were the residents that made up historic NoDa? A melting pot of Americana, mostly of Irish, Scottish and English descent. It was a sturdy, respectable, hard-working community of people, but not without some edge. The area had a questionable reputation (sound familiar?). "North Charlotte was a pretty dangerous place back in those days," recalled streetcar motorman J.B. Ashe in a report written by Tom Hanchett for the Charlotte Mecklenburg Historic Landmarks Commission. "So many people got cut up, fighting all the time. Especially weekends." Hanchett goes on to quote other former residents John and Minnie Robinson: "In Highland Park people stole chickens...People in north Charlotte have had a bad name for years." Although the mills continued to function during the 1930s, growth and construction in the district slowed dramatically as it did all over the country following the Great Depression. A fire station was constructed in 1936, and some additional storefronts and a neighborhood movie theater, The Astor, were added by 1945. The 1960s signaled the downturn of Charlotte's long reign as textile king. As the decade drew to a close, the Highland and Mecklenburg mills closed. Johnston Mills was the last textile giant to shutter its doors, in 1975. By then many original residents had passed on, and those who remained were mostly their elderly or economically oppressed forebearers. Houses had fallen into disrepair. By and large, businesses in the retail district had closed or had gone in a different direction. For example, the former Astor Theater modified its name, becoming The Astor Art Cinema, and changed its entertainment from mainstream to x-rated films. Though the rest of the city dismissed it, area residents continued to express hope for revitalization. It finally came in 1986, when artists Paul Sires and Ruth Ava Lyons took an interest in the crumbling mill village, recognizing the beauty of its period architecture and seeing its potential as a future arts and entertainment district. Two years later they opened CTE gallery. Growth in the newly christened "NoDa," - inspired by New York City's SoHo - was slow at first. But by the dawn of the 21st century, a new generation of residents rediscovered the neighborhood, and life began anew. "Question the Queen City: The Forgotten History of NoDa", David Aaron Moore, Creative Loafing Charlotte, September 6, 2013.